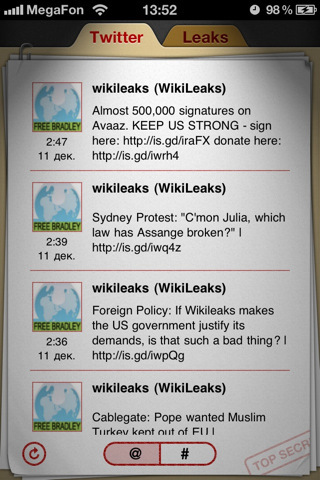 Unofficial WikiLeaks app has just arrived the app store, it makes sense to see it unofficial due to the criticality of its activities and news, the app is available to download on your iPhone, iPod touch and iPad. We’re not here to defend or support Julian Assange or the various parties involved in the WikiLeaks debate, nor are we here to shed our opinion on what has or hasn’t happened. There is however a new, unofficial WikiLeaks app now available in the App Store, and it is our job to let you know about it.